John Adamson died 21st June 1904 aged 30. Brother Alexander Adamson died 27th November 1909 aged 27. 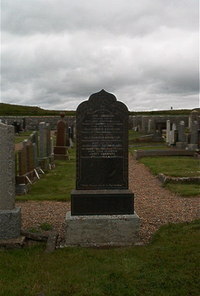 Father Alexander Adamson of Blackness died 29th May 1912 aged 56. Mother Margaret Sutherland died 6th December 1915 aged 76. Sister Janet Adamson died 16th August 1936 aged 59.